Well, happy Monday to you all! This is kind of a heavy "this & that" post, but I'll try to throw something lighter in the mix. This article over at The Gospel Coalition caught my eye for two reason - it's about apologetics (which I love) and it's for "the rest of us" (which is definitely referring to my layman-trained mind). Appropriately titled, "Apologetics for the Rest of Us," it's worth your time. Remember what I was going nutso over last Spring? I'll give you a hint: The Gospel Coalition National Conference. That's not really a hint, it's the whole answer. If I'd been there, I would have heard this message by Mike Bullmore. I'm so thankful I wasn't, because I was in Honduras watching the Lord work like crazy. I'm a little (A LOT) obsessed with this post, "Fiction for the Common Good," at Qideas. I willingly followed the little rabbit trail that led me to "wish listing" a whole bunch of books on Amazon. If you like fiction, but are snobby and must always qualify it by saying, "I like good fiction," then please read this article. And then conspire with me about how we can inspire classic book clubs. Although I think qualifiers like nominal and mediocre are unnecessary to put in front of our identity as Christians, I do think we can benefit from skillfully re-packaged Biblical truth. 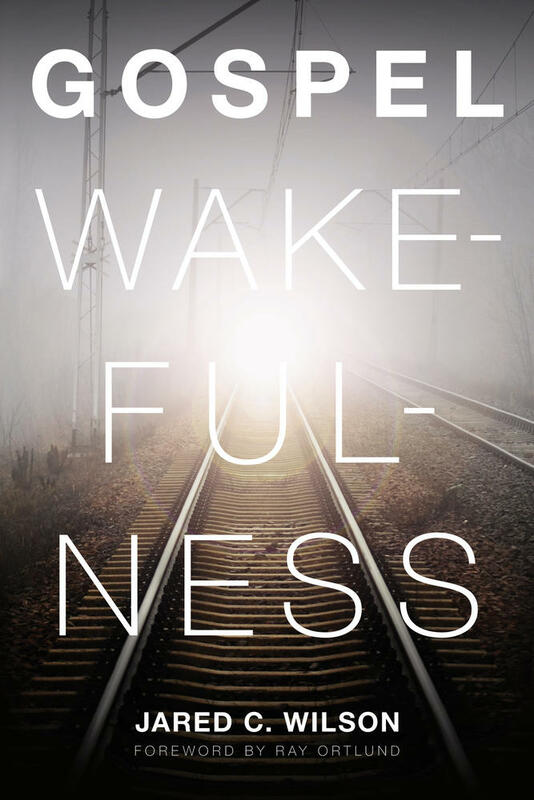 I think that will be the case with Jared Wilson's idea of gospel wakefulness. Go ahead and read this little plug over at Desiring God and let me know what you think. What beautiful way to usher in a Monday (fyi - John Mark McMillan comes out with a new album tomorrow). Especially after such a blessed weekend, I love this. Like fools in love, we're bound to make scene. Isn't that the truth. Do your days feel like this? Like you can't HELP but make a scene? If we are reveling in the love of Christ - wasting everything else and not counting a loss, then our lives will speak (maybe even shout) like crazy that there is something greater! We might be the people that get pointed at or the people that get ignored, but the bottom line is that the scene bound to happen is for an audience of One. The Lord welcomes His sons and daughters into worship, where our hearts bleed for the Creator of the Universe. I'm so thankful that God also knows, as we endeavor to worship with our very lives, that there are bound to be scenes. Our love can look near foolish, but if anyone deserves a scene it is certainly our Lord and Savior! How could you be reveling today in His love? Must we always ask and rebel and shake our fists when we are struck by humanity's brokenness? I love the words, "Why should not..."
I love that these words invite me to think of all the reasons I shouldn't ... and that I come up with nothing. We must start here, at God's creative grace that raised us to the dignity of manhood, if we are ever going to end up talking about justice and injustice - if we are going to talk about our delight and duty to love Him. We must begin with the question, "Why should not the creature love his Creator, who gave Him the power to love?" These things prove again my belief that any "case of the Mondays" can surely be cured - Mondays do not have to be the dreadful thing they seem. My favorite scene from the day involves: one student working through a series of facial expression while texting, another student busily finishing college applications, and myself dancing around the kitchen to Mariah Carey's "All I want for Christmas," while piping hot Nutella-Peanut Butter brownies cool on the counter. Mondays? Yes, please! A sign that says "maquinas trabajando" does not necessarily mean machines are working... it could also mean men with pickaxes and shovels. When you see sewer covers in the road, don't be fooled - they may not have a long life as a sewer cover. Chances are, you will soon have to swerve around that spot with great skill because someone has swiped it to make a buck. Whoever said there is such a thing as "too much of a good thing" has obviously never tried the nutella + peanut butter combination. That terrible cliché about "dancing like no one is watching" is horribly misguided. I think it should go something like, "dance like everyone is watching... and just keep going!"